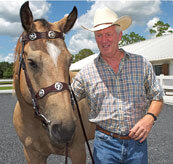 Learn about the many different Horse Breeds right here at InfoHorse.com! 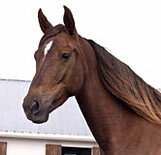 Our goal is to have information on as many different horse breeds as possible, so that you can learn about them. These Articles have all been written by the farms that breed these horses, so you know you are getting first hand information. We believe that the more you know about these horses, the more you will come to appreciate them. So many people have asked me the story on how I came to get Sugar, that I have shared it for my friends who want to know. To me, it is an incredible story, as Sugar is such a blessing in my life... enjoy! It is time to write about Unipol. This is unexpected, for the life story of this little gray Orlov Trotter is still unfolding. But what a tale so far!